Sandy Alcantara spun seven scoreless innings in Springfield’s road series-clinching win and Jordan Hicks tossed six run-free innings for Palm Beach. Memphis moved to 30 games over .500 on a 6-1 Sunday across the St. Louis Cardinals system. Results from games played Sunday, July 23rd. A four-run first propelled Memphis past Las Vegas, 7-5. The Redbirds (65-35) have won the first three of the four-game set and 19 of their last 23. The club reached the 30 games over .500 mark for the first time in a dominating season. The first-inning scoring was comprised of two-run bombs by Alex Mejia and Patrick Wisdom. Mejia led the 11-hit effort, going 3-for-5 with a home run, two runs scored and three RBI while Wisdom’s solo long ball was his only hit in four at bats. Rangel Ravelo made the score 5-1 through three with his fourth home run of 2017. Aledmys Diaz singled twice in four at bats, the only other Redbird with a multi-hit performance. 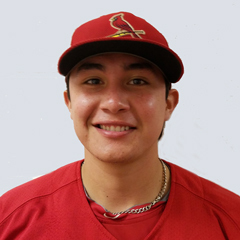 Batting fifth, Tyler O’Neill made his Cardinals system debut with a hit and run scored, but the left fielder also fanned twice in four at-bats. Traded Marco Gonzales’ rotation turn was comprised of three relievers plus an erstwhile starter fresh off the disabled list. Kevin Herget scattered six hits, one walk and one run over the initial 3 1/3. Josh Zeid (W, 6-2) surrendered a three-run home run, one of his three hits and two base-on-balls over 2 2/3. Arturo Reyes allowed a solo shot, his only hit in his two-inning stint. It was his first appearance since returning from Palm Beach. Mark Montgomery tossed a one-two-three ninth for his fifth save. Springfield (20-10) claimed the Sunday finale over Arkansas, 3-1, for a three-games-to-one series victory. Player of the Day Sandy Alcantara (W, 6-5) pitched a gem, limiting the Travelers (13-17) to three hits and two walks over seven. Tyler Bray walked the bases full in the eighth, leaving Rowan Wick in a one-out jam. Wick left two of three runners aboard, permitting a sac fly and two free passes in 1 2/3. The S-Cards maximized their offense, transforming six singles and a free pass into three tallies. Oscar Mercado went 2-for-4 with a run scored. It was his aggressive base-running going first to third on Darren Seferina’s single up the middle that forced an errant throw, allowing him to put Springfield on the board. Mercado, Seferina and Tommy Edman each stole a base. The other key hit was a two-run single by Magneuris Sierra in the eighth, scoring Andrew Knizner (single) and Jacob Wilson (walk). It was Sierra’s only hit in four at bats. The Beach Birds’ offense was held to just four hits in their 3-0 home loss to Charlotte. Palm Beach (15-14) has dropped the first two of the three series games. Andy Young had half of his squad’s offense, singling twice in three at bats. Singles by Blake Drake and Shane Billings made up the rest. Defensively, center fielder Drake was credited with an assist at home. The PB-Cards committed two miscues but neither figured in the scoring. Jordan Hicks tossed his best effort in his three Palm Beach starts, fanning six over five frames of one-hit ball. He was charged with an error on a pickoff attempt. Brennan Leitao (L, 3-2) retired four batters but allowed a solo shot, one of his two hits permitted. Hector Mendoza stranded Leitao’s last runner but gave up two runs on three hits and two walks in 1 1/3. Ramon Santos limited Mendoza’s damage by retiring his only batter, leaving two aboard. Estarlin Arias worked around a hit and free pass for a scoreless ninth. Peoria (17-13) came out on top of a see-saw battle, stopping the Hot Rods, 10-5, to even the road series at one game apiece with one to play. The Chiefs jumped out to a 4-0 lead through four, thanks to three home runs, two by Stefan Trosclair and a solo bomb by Danny Hudzina. Trosclair, Hudzina and Dylan Carlson each had two of Peoria’s 12 hits, with all nine starters garnering at least one. But Bowling Green tied it up in the fifth, and went up 5-4 after six. All five scores were against Ian Oxnevad, four on two long balls. Oxnevad allowed nine hits and two walks through six. Peoria was not finished at the plate, however, tying the game at five all on an unearned run in the seventh before a five-run explosion put the game out of reach after eight. Bryan Dobzanski picked up his second win in seven decisions, tossing three frames and allowing two hits with two strikeouts. State College (18-14) downed Mahoning Valley, 5-1, in the home series opener. The Spikes accumulated 10 hits, paced by Evan Mendoza and Dennis Ortega. Both Spikes went 2-for-4 with a run scored, Mendoza tripling once while knocking in two while Ortega drove in one. Paul Balestrieri (W, 1-0) yielded just one unearned run on seven hits and two bases-on-balls over 5 2/3. The right-hander struck out five. Levi MaVorhis shut down the Scrappers on a hit over the final 3 1/3, leaving one inherited on, for his first save. Chase Pinder’s three-hit game led Johnson City (14-17) over Danville, 8-5, in the rubber game of the series. Pinder accounted for four runs, going 3-for-5 with three runs scored and one driven in. Wadye Ynfante and Jonathan Rivera singled and doubled in three and four at bats, respectively. Ynfante crossed home twice with a stolen base and Rivera scored once. 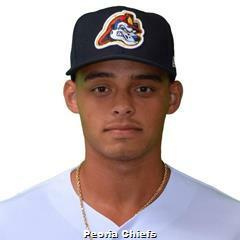 Alvaro Seijas (W, 2-1) struck out eight over 6 2/3, giving up four runs on eight hits, including a home run. Will Changarotty allowed a run on five hits in 1 2/3, stranding two of three inherited runners. That run crossed with Jacob Patterson on the mound, as Patterson retired both batters faced but let one of Changarotty’s runners score. The Gulf Birds (11-8) flew past the GCL Mets (6-13), 5-3, completing a July 18th contest suspended in the first inning due to rain. Delvin Perez was on first with a walk when play resumed, one of three times the lead-off batter reached base. Jonatan Machado greeted the new pitcher with a home run, making the score 2-0. It was the outfielder’s first long ball of his professional career, and only hit in five at bats. Perez and Elehuris Montero each had two of the team’s nine hits, both singles. It was Perez’ fourth multi-hit effort in his last five games and eighth time in his last nine games in which the shortstop has had a hit. Defensively, he committed his second error, one of two miscues by the Birds. Montero touched home once with a run driven in, one of seven Cardinals with either a run scored or RBI. Brian Pirela hurled a solid effort, yielding three runs, two earned, on five hits and two walks through six. One of the three tallies was via a solo home run. Kodi Whitley struck out three in two one-two-three innings before Jim Voyles faced the minimum in the ninth for his first professional save. The Dominican Summer League is idle on Sundays. Harrison Bader was a Swiss army knife for Memphis in its road win with two walks, a stolen base, a home run, two RBI and four runs scored. Mike O’Reilly pitched well in his Palm Beach debut, but the system overall went just 2-5 on Thursday. Results from games played Thursday, July 20th. The Redbirds withstood a late charge to top the Dodgers, 10-8, for a split of the four-game road set. Memphis (62-35) leads Nashville (OAK) by 16 ½ in the American Southern Division. The bats got to work early, pushing across a four-spot in the first plus one more the next frame and built a 9-2 lead through six. Wilfredo Tovar led the 14-hit attack, going 4-for-5 with a double, walk, run scored and RBI. Nick Martini, Alex Mejia and Patrick Wisdom had two hits apiece, Wisdom hitting a two-run bomb that was his 21st home run of 2017 to go with a double in four at bats. Mejia also doubled once in five at bats, knocking in three while Martini crossed home twice. Harrison Bader added a solo shot for his 19th blast, his only hit in four at bats. Bader was very involved in the scoring throughout, walking twice, touching home four times, driving in two and swiping his ninth base. Luke Weaver (W, 9-1) tossed a solid effort for Memphis despite going just five innings. The righty held Oklahoma City (52-45) to a run on four hits and a walk. The big damage done by the Dodgers was against Josh Zeid, who was touched for six runs on six hits and a walk in 1 1/3. Two of the scores were via one long ball and the last runner crossed under Mark Montgomery’s watch. Montgomery yielded the final tally on four hits and a base-on-balls over 1 1/3. Ryan Sherriff recorded the eighth’s final out, stranding two inherited, but got the hook after putting his next two batters on via a hit batsman and free pass. Josh Lucas worked around that jam for his eighth save. The S-Cards were clipped by the Travelers, 6-3, in the road series opener, halting their seven-game winning streak. First-place Springfield (17-10) leads Tulsa (LAD) by a game in the North Division. Austin Gomber (L, 4-7) simply did not have it, yielding five runs on nine hits – including a three-run home run, in just three innings. The big lefty issued one base-on-balls and did not record a strikeout. Pedro Echemendia hurled the next three, allowing a run on two hits. Andrew Morales and Rowan Wick each tossed a scoreless frame. Seven of Springfield’s nine starters garnered at least one of the team’s nine hits, all singles. Second baseman Darren Seferina was the only Cardinal with more than one hit, going 3-for-5 with a run scored. A rain delay at the onset did not bother the Cardinals, as their Thursday victory clinched the four-game set, three games to one. Danny Diekroeger’s two-run bomb gave Mike O’Reilly a winning Florida State League debut as the Beach Birds downed the Tortugas, 4-2. Palm Beach (14-12) sits in third, four games in back of Fort Myers (MIN). The blast came with Shane Billings (force) aboard in the bottom of the fifth, widening the lead from 2-1 to 4-1. It was the third baseman’s only hit in four at bats. Billings was one of six PB-Cards with a hit apiece, singling once in four at bats with two runs scored. Leobaldo Pina’s double was the only hit to go for extra bases. O’Reilly (W, 1-0) was impressive in his maiden A-Advanced effort, limiting Daytona (3-23) to just three hits over eight. Both of the tallies given up by the righty were solo home runs. O’Reilly struck out six with seven ground- and seven fly-ball outs. He threw 73 of his 100 pitches for strikes. Ian McKinney recorded two outs but issued two free passes. Estarlin Arias caught his only batter looking for his sixth save. An unearned run in the 13th doomed the Chiefs to a 6-5 walk-off loss at Dayton. Second-place Peoria (15-12) has lost the first two of the three-game series, leaving them trailing Quad Cities (HOU) by three in the West Division. 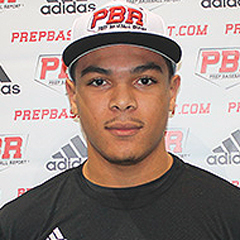 Max Almonte (L, 2-1) could not work around back-to-back fielding errors by right fielder Dylan Carlson and left fielder Mick Fennell. The miscues came with two gone in the 13th, the latter allowing the tie-breaking tally to score. Almonte was the sixth Peoria hurler, beginning with Frederis Parra. Parra permitted two runs on seven hits in 5 1/3, striking out four. Then the bullpen took over and they were not particularly effective. Keaton Siomkin gave up a run on a hit while retiring one. Bryan Dobzanski (BS, 1) and Yeison Medina (BS, 1) each retired five batters while allowing two hits and multiple walks, the former permitting two tallies. Siomkin, Dobzanski and Medina all let their only inherited runner score. Dewin Perez settled the scoring down for three innings before Almonte took over. 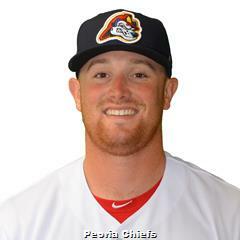 Peoria banged out 11 hits, paced by catcher Brian O’Keefe, who went 4-for-6 with a double and two runs scored. The only other hit to go for extra bases was Nick Plummer’s three-run home run, one of his two hits in five at bats. Carlson went 2-for-5 as well. The Spikes (17-13) came out on the losing end of the battle between the Pinckney Division co-leaders, falling to the Black Bears, 8-2, in the first of three contests. Starter Jonathon Mulford (L, 1-3) and State College’s defense put the team into an early hole from which they could not recover. The right-hander surrendered a five-run first plus a solo shot in the third, only two of the six runs over 4 2/3 earned. Mulford permitted nine hits and three walks. Will Latcham struck out three in 2 1/3 but allowed two runs, one earned, on two hits, including a solo bomb. Leland Tilley tossed a clean eighth. Designated hitter Joshua Lopez led his squad’s eight-hit effort, going 3-for-4 with a double. Left fielder Brandon Benson singled and doubled in four at bats with a solo home run that was one of his two RBI. The JC-Cards were bombed at Burlington, 8-1, preventing them from making a three-game series sweep. Johnson City (12-16) is tied for third with Kingsport (NYM), six behind Elizabethton (MIN). Five of the six tallies charged to Franyel Casadilla (L, 0-3) in five were produced by three long balls – a grand slam plus two solo shots. Casadilla allowed the Royals (10-17) eight hits and three walks in all. He also hit a batter. Evan Guillory (2 IP) and Paul Salazar (0.2 IP) were each touched for a run. Jacob Patterson retired his only batter, leaving two inherited aboard. The Appy Birds had just five hits generated by five players. Alexis Wilson, Walker Robbins and Wadye Infante all doubled once. Julio Rodriguez drove in Irving Lopez (single) for his team’s only run. Thursday’s contest between the second-place GCL Cardinals (11-8) and the fourth-place GCL Marlins (8-11) was suspended due to lightning with the score knotted at six all through 10. Andres Luna had two hits, a stolen base and two runs scored. Starting pitcher Junior Gonzalez was charged with four runs over the first five innings, but still left with a 6-4 lead. The game is scheduled to be completed as part of a twin bill on Tuesday, July 25th. The Gulf Birds trail the GCL Nationals by 1 ½ in the East Division. The Dominican Birds’ bullpen was unable to hold a 10th-inning lead, resulting in a 5-4 walk-off loss to the division-leading Twins (29-11). The Cardinals (15-25) are in eighth and last place, 14 games behind. Hector Soto (BS, 2) (L, 3-2) retired just one batter, surrendering two runs, one earned, on an RBI triple, two intentional free passes and a wild pitch. The first run was due to the runner beginning the extra frame on second base. Diego Cordero went the first six, giving up three tallies on 10 hits. Dionis Zamora fanned four over the next three, walking two. Only one of the Dominican Birds’ 10 hits went for extra bases, a double by center fielder Carlos Soler, who went 2-for-3 with a run scored. Shortstop Franklin Soto and catcher Ivan Herrera had three hits apiece, Soto crossing home twice in four at bats and Herrera knocking in two in five at bats. Results from games played Tuesday, July 18th. The Redbirds dropped a 4-1 decision at Oklahoma City, snapping a seven-game winning streak and evening the series at one game each with two on tap. Memphis (61-34) is 17 ½ games ahead of Nashville (OAK) in the American Southern Division. Marco Gonzales (L, 6-4) was not at his best, yielding a three-run third plus another score the next frame, allowing six hits, two walks and a hit batsman through six. Trey Nielsen and Miguel Socolovich each tossed an inning. The visitors matched their hosts’ seven hits but, unlike the Dodgers, the Redbirds’ hits were not grouped together. Nick Martini singled twice in three at bats with an RBI, the only player with more than one hit. The right fielder drove in Gonzales who singled to open the third. The S-Cards (16-9) transformed 11 hits into eight tallies in their 8-3 victory over the Naturals, clinching the four-game set with one to play. Springfield’s sixth consecutive win has left them atop the North Division, a game in front of Tulsa (LAD). Three Springfield players went yard: Anthony Garcia, Jacob Wilson and Bruce Caldwell. Those home runs generated six of their eight scores. Garcia padded a 2-0 lead in the third with a three-run bomb, his 15th of 2017 and only hit in four at bats. Wilson’s solo shot was part of a three-run eighth, the third baseman adding a sac fly to his 1-for-3 effort. Caldwell was one of three S-Cards with a multi-hit performance, joining Andrew Knizner and Randy Arozarena. Caldwell went 2-for-3 with a two-run blast and walk, touching home twice while Knizner led the hitting by singling three times in four at bats. Arozarena singled and doubled in four at bats, scoring twice. Sandy Alcantara (W, 5-5) put together a solid effort, holding Northwest Arkansas to a run on seven hits and three free passes in 5 2/3. Jacob Evans retired all four batters faced, stranding two inherited. Dailyn Martinez was touched for two runs on six hits, both tallies produced by a long ball. The first of three contests for Palm Beach (12-11) versus Daytona was suspended due to rain with two gone in the bottom of the second and the Beach Birds up 1-0 with a runner on second. The game will be completed on Wednesday, July 19th, as part of a twin bill. The Cards are tied for fourth with Jupiter (MIA), 4 ½ in back of Fort Myers (MIN). The second-place Chiefs (15-10) look for their third consecutive series’ win as they begin six-game road trip through Eastern Division rivals Dayton (CIN) and Bowling Green (TB). Peoria is two games behind Quad Cities (HOU) in the Western Division. Center fielder Scott Hurst’s bat lifted the Spikes to a double-header sweep at Williamsport, 9-3 and 3-1, clinching the three-game series with one contest remaining. The sweep moved State College (16-11) into a three-way tie for first with Mahoning Valley (CLE) and West Virginia (PIT). Hurst, our co-Player of the Day, garnered five hits, accounting for six tallies over the two games. The center fielder was one of two Spikes to go 3-for-4 in the opener, along with Bryce Denton, who finished a home run shy of the cycle with three runs scored and one driven in. He followed that up by singling and doubling in three at bats with a base-on-balls, touching home twice. The opener’s balanced offensive attack featured 16 hits spread among eight starters. Denton crossed home once but it was Ricardo Bautista’s third long ball of the season that got the scoring started. It came with two aboard in the first and was one of his two hits and two runs scored in four at bats. Tyler Lancaster, Matt Davis and Edwin Figuera each had two hits, the latter two scoring once. Daniel Castano fanned nine in 5 1/3, surrendering three runs in eight hits to improve his record to a perfect 6-0. Noel Gonzalez worked around two hits over 1 2/3, leaving Castano’s last runner aboard. Game 2 was a low-scoring affair, each team manufacturing just five hits. Hurst had two, singling and doubling in three at bats with a walk. The Cal State Fullerton product scored both his squad’s first and last runs. The second of right fielder Brandon Benson’s two singles in three at bats knocked in Hurst for an insurance run in the eighth. Reliever Spencer Traynor picked up his third win in four decisions despite being charged with his second blown save. The right-hander entered the game with one gone in the seventh and his team clinging to a 1-0 lead. But one of his two free passes plus two singles sent the game into extras. Traynor tossed a one-two-three eighth. Levi MaVorhis went the initial 3 2/3, permitting two hits and a base-on-balls, striking out four. Leland Tilley retired four straight, leaving on one inherited runner. Colton Thomson used three K’s to maneuver around a hit and walk in 1 1/3. A four-run third resulted in the JC-Cards’ 6-3 win over Burlington in the road series opener. Johnson City (11-15) is tied for third with Kingsport (NYM), five behind Elizabethton (MIN) and Greeneville (HOU). The Appy Birds banged out 11 hits, led by Chase Pinder and J.D. Murders, who had three apiece. Pinder doubled once in five at bats with a run scored and two RBI while Murders touched home once in four at bats with his first stolen base. Catcher Julio Rodriguez doubled twice in four at bats, scored one and knocked in two, the only other player with more than one hit. Reliever Jake Walsh was perfect over 3 1/3 frames and was credited with the victory, his third in as many decisions. Thomas St. Clair tossed the final two innings for his second save. Both pitched in relief of Alvaro Seijas, who was unable to finish the fourth. Seijas yielded all three (earned) tallies over 3 2/3 in that inning, giving up six hits and two walks in all and hitting a batter. 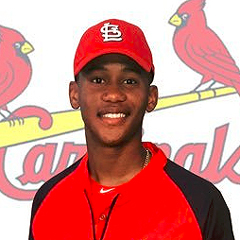 The contest between the GCL Cardinals (10-8) and GCL Mets (5-12) was suspended due to rain in the top of the first after Delvin Perez had worked a free pass. The game is scheduled to be completed on Sunday, July 23. Their bats were hot and starter even hotter as the DSL Cardinals (15-22) rolled to a 12-2 victory over the DSL Phillies Red (15-22). The win moves the Dominican Birds into a three-way tie for fifth, along with the Phillies Red and Yankees. All three trail the division-leading DSL Twins by 11. For the second straight start, 18-year-old Enmanuel Solano tossed a one hitter. The only batter to reach against him through six innings was his second batter faced whom he hit with a pitch. The righty, our co-Player of the Day, retired the next 17 straight before running into trouble when he allowed a walk-RBI triple sequence to his first two faced. A sac fly scored the second tally, ending Solano’s day. He fanned two with 11 ground- to three fly-ball outs. Two relievers took care of the last eight outs: Roy Garcia and Anthony Trompiz. Garcia recorded five outs, issuing two free passes and Trompiz worked around shortstop Raffy Ozuna’s fielding error in the ninth. The en fuego offense generated 12 runs, all earned, on 18 hits and eight base-on-balls. Second baseman Franklin Soto led the charge, singling four times in six at bats, crossing once and driving in three. Three players had three hits apiece: left fielder Alexander Samuel, third baseman Pablo Gomez and catcher Ivan Herrera. Samuel accounted for five runs, scoring three with two RBI, with his triple the only one of the 18 hits to go for extra bases. Results from games played Sunday, July 16th. Nick Martini’s fifth Memphis home run of 2017 and seventh overall gave the Redbirds a 2-1 walk-off win over the Express (41-53) (TEX). Memphis (60-33) extends its winning streak to six, including a three-game sweep over visiting Round Rock. Martini led off the ninth with the blast, capping a late charge by the home team. In a pitching duel, each staff gave up just six hits. Catcher Alberto Rosario joined Martini with two hits each, Rosario’s second single in three at bats driving in Alex Mejia (single) to knot the game at one all after eight. Ryan Sherriff tossed a scoreless ninth for his fourth win against no losses. The lefty was the fifth Redbirds’ hurler of the day, beginning with Jack Flaherty. Flaherty’s stint finished an out shy of five innings, the righty yielding a run on five hits. The damage to his line would have been worse except for an outfield assist by left fielder Breyvic Valera who nailed a runner at the plate, via a relay to third baseman Patrick Wisdom, after Flaherty permitted a single to left. Mike Mayers, in his second relief consecutive relief appearance after starting exclusively since 2013, retired all four batters faced and stranded an inherited runner. Zach Duke tossed a one-two-three seventh before Mark Montgomery struck out the side in his inning of work. Springfield (14-9) used a dominating performance by starter Zac Gallen to blank Northwest Arkansas, 6-0, in the series opener. Player of the Day Gallen’s return to the Springfield rotation after three Triple-A starts was an impressive one. The righty, St. Louis’ third round selection in the June 2016 First-Year Player Draft, faced just one over the minimum over seven, a single in the third. Gallen (W, 2-2) struck out six with five ground- to four fly-ball outs. Pedro Echemendia permitted two hits over the last two frames. The S-Cards pushed across the game’s first score in the fifth. But it was bombs away for the home team the next inning with five tallies generated by three home runs. Anthony Garcia and Gabriel Lino both launched two-run blasts and Darren Seferina capped the scoring with a solo shot, driving the Naturals’ starter from the game. Springfield accumulated eight hits, led by three from John Nogowski in four at bats. The first baseman crossed home once. Seferina added a single to his long ball in three at bats, driving in two. The Beach Birds (12-11) transformed 13 hits into a 7-5 victory at Lakeland, clinching the three-game series with one yet to play. 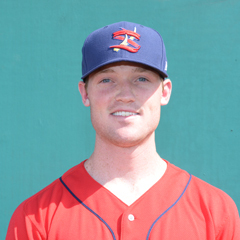 Center fielder Lane Thomas, activated off the seven-day DL prior to the game, and right fielder Shane Billings led the way with three hits apiece. Thomas, acquired from the Toronto organization on July 2, 2017 in return for international cap money, went 3-for-4 with a triple, run scored and RBI on a sac fly at the top of the order. Billings, the number six batter, singled three times in five at bats, touched home twice and swiped his first base. The only other PB-Card with more than one hit was Danny Diekroeger, who accounted for three runs, going 2-for-4 with a run scored and two knocked in. Ryan Helsley (W, 8-2) fanned seven over five strong frames against the North Division leaders, with the only mark against him a solo shot that was one of three hits and one base-on-balls allowed. Brady Bowen was touched for three runs, one earned, on four hits over three. Estarlin Arias retired two in the ninth but gave way after allowing a run on two hits. 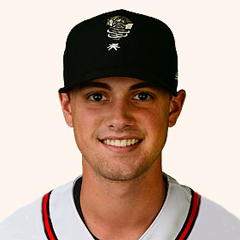 Jacob Evans left Arias’ last runner aboard, earning his third save. Peoria (14-9) dropped a 5-3 decision to Fort Wayne, evening the series at one game each with one on tap. The contest was a see-saw battle with the Chiefs building a slim 2-0 lead through five. But a three-run bomb the next frame off Anthony Shew flipped the advantage the TinCaps’ way. That score held until the home half of the eighth when Peoria tied it up but Fort Wayne struck last, scoring two against the combination of Ronnie Williams and Yeison Medina. Shew was solid in his first full-season start, fanning seven over 6 2/3 while holding his opponents to six hits and two walks. Williams, the losing pitcher, allowed two tallies on three hits and two free passes in 1 2/3, both of whom scored under Medina’s watch. Three Chiefs garnered two hits each: Nick Plummer, Matt Fiedler and Kramer Robertson. Fiedler’s RBI single driving in Plummer (double) knotted the game at three all through eight. Both Fiedler and Plummer went 2-for-4 while Robertson singled twice in five at bats. Both Fiedler and Robertson were 0-for-1 in stolen base attempts. The Spikes rallied late only to absorb a 2-1 walk-off loss to Brooklyn (7-19) (NYM), preventing a three-game sweep by State College (15-11). With the visitors mustering just three hits, their five walks became crucial. Their only tally occurred in the eighth after Ricardo Bautista and Dennis Ortega worked back-to-back free passes. That set the stage for Imeldo Diaz’ RBI single. However, two Spikes runners were later cut down at home that inning. Bautista had a rough day on the base paths, being caught stealing once and picked off first another time. Defensively, first baseman Yariel Gonzalez was charged with a fielding error. Paul Balestrieri put together a fine start, scattering six hits and two walks over six with one run allowed. Will Latcham worked around a hit and base-on-balls for a scoreless seventh. Robbie Gordon (L, 0-3) tossed a clean eighth but surrendered a single-walk-double combination the next inning that ended it. Jacob Schlesener struck out 10 Mets as Johnson City slipped past Kingsport, 3-2, evening the road series at one game each. Schlesener (W, 1-1) tossed five plus scoreless frames, permitting three hits and two walks. Evan Guillory took over after Schlesener allowed a single and free pass to his initial two batters in the sixth. Guillory worked out of that jam, tossing three clean innings before running into trouble in the ninth. Jacob Patterson inherited a runner at second with a run already across and yielded an unearned tally. The Appy Birds (10-14) accumulated nine hits, paced by third baseman Starlin Balbuena and second baseman Irving Lopez, who both went 2-for-4. Balbuena doubled once with a run scored while Lopez drove in two. Right fielder Carlos Talavera singled once in three at bats with a walk, touching home twice. 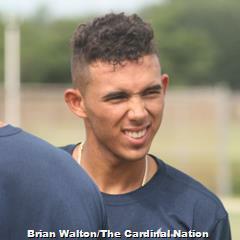 The GCL Cardinals (10-8) scored early and never looked back, topping the GCL Astros, 6-2. Shortstop Delvin Perez tripled to lead off the game, scoring on that same play via a throwing error. Perez compiled his best game since returning from Johnson City on July 11th, going 3-for-4 with two runs scored and one driven in. Designated hitter Elehuris Montero singled twice in four at bats, the only other Gulf Bird with more than one of 10 team hits. Defensively, first baseman Taylor Bryant was charged with his second fielding error but outfielder Brian Sanchez picked up at outfield assist when he nailed a runner at second. Southpaw Austin Warner struck out eight over five scoreless for his first professional victory. Jim Voyles went two innings, yielding a run on two hits while Corey Malcom and Gabriel Gentner each pitched a frame. An unearned score occurred while the latter was on the mound. 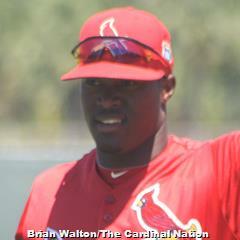 The DSL Cardinals (14-21) were idle for the Dominican Summer League All-Star Game, held Sunday. In the game, played at the Giants complex, the National League defeated the American League, 3-2. Former Cardinals star Vince Coleman threw out the first pitch. 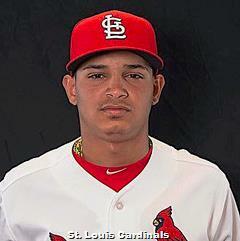 The Cardinals had two representatives, catcher Ivan Herrera and infielder Pablo Gomez, both NL reserves. Herrera went 0-for-1 and Gomez drew a walk and struck out in his two plate appearances. Player of the Day Marco Gonzales retired 13 straight for Memphis, in one of the system’s five wins in nine tries on Thursday. Peoria’s Stefan Trosclair had four hits and Wadye Ynfante went deep twice for Johnson City. Results from games played Thursday, July 13th. The Redbirds flew past the Express, 8-2, at AutoZone Park on Thursday, the first of four games between the two squads. Memphis (57-33) holds the best record in the Pacific Coast League, leading Nashville (OAK) by 14 ½. Facing Round Rock for the second consecutive start, Player of the Day Marco Gonzales (W, 6-3) fanned eight over six strong frames. The lefty was touched for two first-inning tallies on a walk and two hits but retired the next 13 in a row before allowing a single to open the sixth. Zach Duke hurled a one-two-three seventh, K’ing one, the third scoreless inning since his rehab assignment moved to Triple-A. Mark Montgomery struck out two over the last two frames. The home team’s 12-hit attack was spearheaded by Breyvic Valera, who singled three times in four at bats, touching home twice and going 1-for-2 in stolen base attempts. 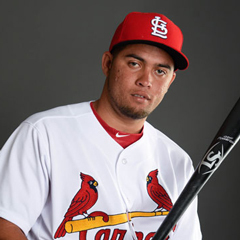 Three Redbirds gathered two hits apiece: Aledmys Diaz, Rangel Ravelo and Patrick Wisdom. Diaz went 2-for-4 with a run scored and one driven in but was one of three Memphis players to be caught stealing, joined by Ravelo and Nick Martini. Ravelo doubled twice in three at bats with a base-on-balls and RBI. But it was Wisdom who brought the big fire power that accounted for half of his team’s scores. The third baseman launched his 18th home run of the season, a three-run shot that flipped a 2-0 deficit into a 3-2 lead that was never relinquished. Sandy Alcantara tossed six solid innings as the S-Cards stopped the Travelers, 2-1, evening the road series at one game each with two on tap. Springfield (11-9) moves into sole possession of second with the victory, two behind Tulsa (LAD). The only blemish on Alcantara’s night (W, 4-5) was a solo blast that was one of only two hits permitted. The righty did issue four free passes and threw a wild pitch. Andrew Morales spun two one-two-three innings, matching Alcantara’s three strikeouts. Making his first appearance for Springfield since being activated from Memphis’ disabled list, Rowan Wick worked around a one-out walk for his first save. Springfield’s offense consisted of eight hits, led by two players with two hits apiece: Randy Arozarena and John Nogowski. Both players went 2-for-4, Arozarena tripling once with a run scored and Nogowski doubling one time with one knocked in. The Beach Birds dropped a twin bill to the Hammerheads, 8-1 and 4-1, extending their losing streak to six. Palm Beach (10-10) has fallen into fourth place, 5 ½ behind Fort Myers (MIN). The first contest completed Wednesday’s game that was suspended due to rain in the home half of the second with the PB-Cards trailing 2-0. Jake Woodford took the loss, his fifth in 10 decisions, yielding two runs on two hits, a free pass and a plunked batter in his only inning of work. Reliever Ross Vance took over when play resumed Thursday, and went four frames, permitting a three-run home run, one of two hits and a base-on-balls given up. He struck out five, hit two batters and picked off one. Brady Bowen and Ramon Santos tossed two innings each, Bowen fanning two and Santos allowing three runs on six hits. Blake Drake and Andy Young both went 2-for-4 with a double, with Drake scoring the lone run. It was more of the same in the seven-inning finale, as Palm Beach generated just four hits, one of them Drake’s fourth long ball of 2017. Jordan Hicks (L, 0-1) struck out seven through five in his A-Advanced debut, allowing three runs on five hits and a free pass. Ian McKinney yielded two hits and a walk the next frame, one of whom scored but the other two were stranded by Hector Mendoza. Mendoza retired all four batters faced, two via strike outs. Stefan Trosclair had a perfect night at the plate as the Chiefs downed the Captains, 4-1, clinching the three-game series with one to go. Second-place Peoria (13-8) maintained pace with first-place Quad Cities (HOU) with the win, a team they trail by three. Trosclair finished a triple shy of the cycle, going 3-for-3 with a walk, double and solo bomb. His double drove in Kramer Robertson after the latter singled to open to the first, Robertson’s only hit in four at bats. Trosclair alsoswiped his 12th stolen base. J.R. Davis blasted one out of Dozer Park as well. The bases empty shot broke a 1-1 tie the next inning. Davis added a single to his home run, driving in two. That was more than enough offense for Evan Kruczynski, who held the opposition to a run on five hits and a walk through six, picking up his first professional win against one loss. The southpaw struck out six. Bryan Dobzanski fanned three in 1 2/3, allowing two hits. His final runner was stranded by steady Eric Carter, who retired all four faced, two on strikeouts, for his eighth save. Tyler Lancaster’s grand slam built an early lead as the Spikes held on to edge the ValleyCats, 7-6, in the decisive third game of the series. State College (13-10) remains tied for second with Mahoning Valley (CLE), a game in back of West Virginia (PIT). Lancaster’s first long ball came with a run already across in the third. The first baseman also doubled in three at bats with a walk and the aforementioned run scored. Shortstop Imeldo Diaz singled twice in four at bats, driving in two, the only other State College player with more than one of the team’s 10 hits. The bomb by Lancaster gave the Spikes a 7-2 lead midway through three – and the team needed every single run. Daniel Castano (W, 5-0) fanned six over 5 2/3, permitting three runs, two earned, on seven hits and a base-on-balls. His own fielding miscue was responsible for the unearned tally. But the bullpen made the game interesting, with two of the Spikes’ three relievers being scored upon. Steven Farinaro retired his first batter, stranding one inherited, but was touched for a run on a triple and ground out in the seventh. Farinaro’s night ended after he began the eighth by hitting the lead-off batter. Leland Tilley maneuvered around a walk for a scoreless frame but Spencer Trayner picked up his first save the hard way. Trayner surrendered a two-run home run, bringing the visitors within one, but managed to secure the final out. The Appy Birds were keelhauled by the Pirates, 16-7, leaving them trailing in the series, two games to none, with one to play. Johnson City (8-13) has lost three straight, falling into fourth in the West Division, six in back of Elizabethton (MIN). It got ugly pretty quickly with Alvaro Seijas (L, 1-1) allowing 11 runs, six earned, on nine hits and two free passes over three plus. Seijas, who did not retire any of the seven Pirates that came to the plate in the fourth, fanned four. The game did not get much better when the bullpen entered the game, as the next three relievers all were scored upon. Jake Dahlberg pitched the fourth through sixth, yielding a run on three hits. Paul Salazar gave up three tallies on two hits and two walks in his inning on the bump. Juan Alvarez tossed a clean eighth but left the sacks jammed with none out the next inning on two walks sandwiched around a double. The only one of those three runners to score off Evan Guillory was on a double play ball. The JC-Cards’ bats generated enough offense for a win in most cases, accumulating 11 hits and five free passes. Wadye Ynfante and Luis Bandes each had three hits in four and five at bats, respectively. In fact, Infante had a multi-hit home run night, sending two over the wall that accounted for three of his four RBI. Chase Pinder and Wood Myers had two hits apiece. The Gulf Birds came out on top of a wild one, walking off with a 9-8 win over the Mets (5-9). 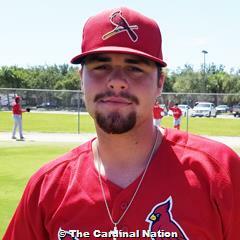 The second-place Cardinals (7-7) kept pace with the Nationals, who won their fifth straight, although they trail the division leaders by 3 ½.
Flores was one of three Gulf Birds with two hits, joining right fielder Sanel Rosendo and third baseman Donivan Williams. All three went 2-for-4, Flores tripling once with an RBI and Rosendo doubling once while driving in three. Williams scored once and committed his first error. Center fielder Jonatan Machado singled once in three at bats with a walk, hit-by-pitch and crossed home three times while Perez went 1-for-4 with a walk, double, sac fly, stolen base, strikeout and run scored. It took six Gulf Birds pitchers plus rehabbing Arturo Reyes to navigate nine innings. Five of the seven were not scored upon but wowzers, did the other two get lit up! One was starter Winston Nicacio, who was pitching for only the second time in 12 days. Nicacio fell prey to the long ball, as three of the four runs charged to him came via on two home runs. Both bombs came in the three-run fourth, the latter finishing his day. The 20-year-old allowed eight hits and a walk in 3 1/3. C.J. Saylor began a string of four Gulf Cards’ hurlers not scored upon. Saylor retired both batters faced before handing the ball off to Reyes, who worked the fourth. Cory Malcom gave up a hit and walk in 1/3 of an inning but both runners were left on by Enrique Perez, who retired five. But reliever Noel DeJesus did not fare as well. DeJesus gave up an unearned run in the eighth plus three earned runs the next frame that allowed the Gulf Mets to knot the game at eight all. Gabriel Gentner (BS, 1) (W, 2-0) let DeJesus’ last runner touch home before he recorded the final out. The Dominican Birds trailed from the start in their 7-1 loss to the second-place Mets1. The sixth-place Cardinals (14-20) trail the Twins by 11 games. Diego Cordero (L, 1-3) took a tough loss as he received little benefit from either his defense or offense. The southpaw went five frames, allowing two unearned tallies on two first-inning miscues plus an earned score in the third on five hits and a walk in total. 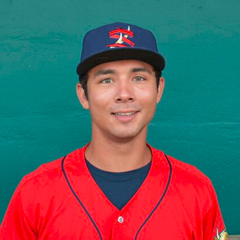 Right-hander Jose Geronimo tossed the next 1 2/3, permitting three runs on three hits and a free pass. Anthony Trompiz allowed a run on two hits and a hit batsman over 1 1/3. Second baseman and lead-off batter Pablo Gomez had two of his team’s five hits, singling twice in four at bats. 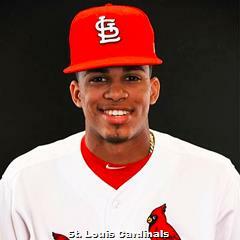 The Cards’ only run came after shortstop Franklin Soto reached base on a fielding error, advanced to third via back-to-back walks and scored when third baseman Francisco Hernandez grounded into a 4-6 force. Breaking down the seven St. Louis Cardinals system pitchers to have made starts for the 2017 Dominican Summer League Cardinals. Results from games played Tuesday, July 11th. The Redbirds are in the midst of the Pacific Coast League All-Star break. The Triple-A All-Star Game will take place on Wednesday, July 12th, at 8:00 pm CT at Cheney Field, home of the Tacoma Rainiers (SEA). 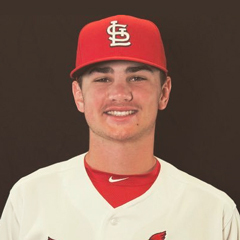 Three Memphis players, catcher Carson Kelly, lefty reliever Ryan Sherriff and right-handed starter Luke Weaver, were named to the team, with Weaver having since been promoted to St. Louis, then returned. Fresh off a 6-4 home stand versus two South Division rivals, second-place Springfield (10-8) heads out on a brief four-game road trip to fourth-place Arkansas (SEA). Third-place Palm Beach (10-8) will try to halt a four-game losing skid as they begin a three-game series with fourth-place Jupiter (MIA) at Roger Dean Stadium. Second-place Peoria (11-8) opens a six-game home stand versus Eastern Division foes, Lake County (CLE) and Fort Wayne (SD). The Spikes (11-10) were blanked by Tri-City, 7-0, in the road series opener Tuesday evening. All five runs charged to Anthony Shew (L, 2-2) over 6 2/3 came in the third, two of them products of a home run. The righty gave up seven hits and a walk with six strikeouts. Noel Gonzalez allowed two runs on a hit and three walks in 1 1/3. The visitors were limited to five hits in all, three by catcher Joshua Lopez, who doubled once in four at bats. He was also charged with his fourth passed ball of 2017. Johnson City (8-11) hosts Bristol (PIT) for three before beginning a six-game road trip. The Gulf Birds (6-7) could not recover from an early deficit, falling to the GCL Astros, 4-3. Starter Brian Pirela (L, 0-2) was bitten by the long ball, surrendering a two-run blast in the first plus solo shots in the third and fourth. The righty went five innings in all, permitting seven hits and two free passes. A quartet of relievers shared the final four frames. Chris Hunt and Enrique Perez each tossed a one-two-three inning but Jim Voyles got into trouble by walking two after retiring his first two faced. Patrick Dayton cleaned up the mess by inducing a 6-4 force out. 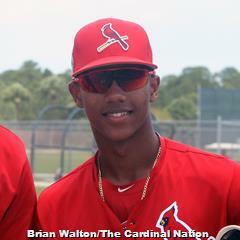 The GCL Cardinals generated six hits, with Jonatan Machado the only player having more than one. In his 2017 debut, the center fielder singled twice in four at bats, scoring once. Catcher Robbie Coman’s only hit in three at bats was his first professional home run. Shortstop Delvin Perez had a rough day in his first game back in the GCL after being sent down from Johnson City, going hitless in five at bats with three strikeouts. 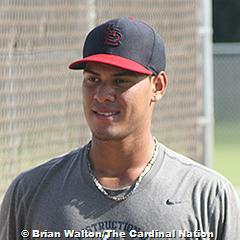 Enmanuel Solano spun seven frames of shutout ball as the DSL Cardinals (13-19) slipped past the DSL Yankees, 2-1. Solano (W, 2-0) had a perfect game through six and faced just two over the minimum overall. The seventh was a bit rocky, however, after the 18-year-old Dominican right-hander issued a free pass to his first batter and line drive single to left to his second. But Solano escaped via a force out at third, pop out and ground out. Roy Garcia gave up a single and walk and was charged with an unearned tally when a steal of third resulted in a throwing error by catcher Ivan Herrera, allowing the lead runner to come home. Dionis Zamora survived a two-out single and wild pitch for his fifth save. The home team capitalized on three Yankees’ miscues to score unearned runs in the third and seventh. First baseman Cristhian Longa generated almost all of his team’s offense, going 4-for-4, but did not figure in the scoring. Breaking down the six St. Louis Cardinals system pitchers to have made starts for the 2017 Gulf Coast League Cardinals. 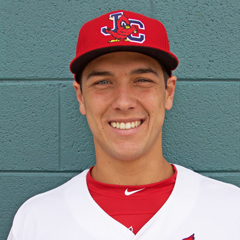 Breaking down the six St. Louis Cardinals system pitchers to have made starts for the 2017 Johnson City Cardinals. Results from games played Sunday, July 9th. A 10th-inning home run by Breyvic Valera gave the Redbirds a 2-1 victory over the Sounds in the rubber game of the three-game series. Memphis leads second-place Nashville (42-48) (OAK) by 14 1/2 in the American Southern Division. Valera’s long ball was his only hit in four at bats and one of just six for the team. Rangel Ravelo and Adolis Garcia had two hits apiece, with Ravelo driving in Harrison Bader after the center fielder singled with two gone in the sixth. Garcia swiped two bags. 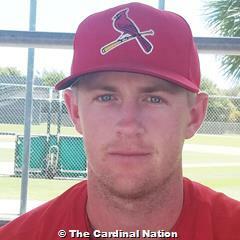 A quintet of Redbirds hurlers held Nashville to six hits as well. Josh Zeid gave up three hits and a walk through five. Zeid was in line for the win until Trey Nielsen (BS, 1) yielded a tally on two hits and a base-on-balls in the sixth’s home half. The second Memphis appearance for Zach Duke on his rehab trail consisted of working around a hit for a scoreless seventh. Miguel Socolovich faced the minimum in the eighth while Josh Lucas (W, 6-0) retired all six batters faced, three on strikeouts. 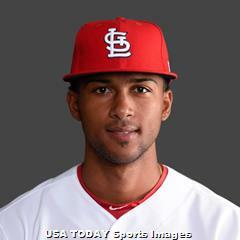 The only Cardinal in this year’s Futures Game was Jack Flaherty of Memphis. The right-hander pitched the sixth inning with a 7-1 lead. Despite throwing 14 of 17 pitches for strikes, Flaherty gave up two runs on two hits, a leadoff single, followed by a double. The runs came home on a sac fly and a ground out. The S-Cards twice rallied from deficits to fly past the RoughRiders, 12-8. Springfield (10-7), which has clinched the three-game series with one to go, moves into sole possession of second place with the win, a game behind Tulsa (LAD). With Springfield down 3-0 midway through three, Randy Arozarena’s two-run bomb in the bottom of the frame capped a four-run drive, putting Springfield up 4-3. But in the sixth, Austin Gomber (W, 4-6) served up his second two-run long ball, which only inspired his squad to score six more times when they came to bat that inning. That scoring was finished off by Kolten Wong’s three-run blast. The home team padded their lead with two more scores in the seventh. 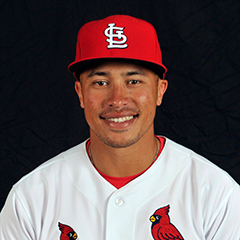 Wong, making his third rehab start for Springfield, was one of three S-Cards accumulating three hits, joining Andrew Knizner and John Nogowski. The second baseman added a double and single to his bomb in five at bats, scored twice and drove in four. Knizner also went 3-for-5, doubling once and touching home twice while Nogowski went 3-for-4 with a double, two runs scored and an RBI out of the eight hole. Arozarena and Jacob Wilson added two hits apiece. The home runs permitted by Gomber were two of only five hits the lefty gave up over seven innings. He issued one free pass and fanned five. Kevin Siegrist was touched for two runs on three hits and a base-on-balls in the seventh, the second outing since his rehab assignment began. Andrew Morales allowed a hit and walk in his inning on the bump. Two late tallies doomed the third-place Beach Birds to a 4-2 loss at the hands of the Miracle. Palm Beach (10-7) will try to salvage the finale of the four-game set on Monday. Half of the home team’s runs were generated by two solo shots by Fort Myers’ number nine batter. The second blast came off Hector Mendoza (L, 0-1), breaking a 2-2 eighth-inning tie. A run charged to Ross Vance later that frame sealed the loss. Junior Fernandez went the initial 4 1/3, yielding a run on a hit and three walks. That run scored under Brennan Leitao’s watch, after Fernandez was forced to depart with an arm injury. It was his first outing after coming off the disabled list. Leitao was charged with a run of his own on three hits over 1 1/3. Estarlin Arias recorded the eighth-inning’s final out. The visitors were held to just five hits, the big one a two-run home run by Danny Diekroeger that scored Chris Chinea (single). Any Young was the only PB-Card with a multi-hit effort, singling twice in three at bats with a stolen base. The Chiefs came out on the wrong end of a low-scoring affair, losing to the Kernels, 2-1. Peoria (10-8), which drops into a tie for second with Cedar Rapids with the loss, will try to salvage the fourth and final game of the series on Monday. The difference was an unearned tally with Juan Perez (L, 2-2) pitching in the seventh. The righty had limited his opponents to a solo long ball, one of four hits allowed over six. But Perez was his own worst enemy the next inning. He fanned his lead-off batter swinging only to have the runner end up on second because of a wild pitch and his subsequent throwing error. His day ended after an attempted sac bunt resulted in runners at the corners due to another throwing error by Perez. Keaton Siomkin limited the damage, yielding a sac fly and single before notching two swinging K’s. Two of the three outs recorded by Yeison Medina were strikeouts. The visitors’ only run occurred in the second after Stefan Trosclair and Danny Hudzina singled back-to-back with one gone. Trosclair scored on a sac fly by Juan Yepez. Peoria managed just one more hit the rest of the game. The Spikes mounted a big ninth-inning rally only to fall to Auburn in 12 innings, 13-12, in the decisive third game of the series. State College (11-9) slides into a two-way tie for second with Williamsport (PHI) with the defeat, two in back of West Virginia (PIT). The six-run ninth was generated by four of the team’s 14 hits plus three of their 10 free passes. Five Spikes produced a multi-hit game, paced by center fielder Scott Hurst, who singled three times in six at bats with a run scored. Zach Kirtley, Joshua Lopez, Ricardo Bautista and Imeldo Diaz each had two hits, with Kirtley doubling twice and Bautista once and adding a two-run home run. Only four of 13 runs by the sixth-place Doubledays (7-13) (WSH) were earned, thanks to two State College miscues. Four of the seven runs allowed by starter Paul Balestrieri in just 2 2/3 were unearned, the righty permitting five hits and two bases-on-balls. Noel Gonzalez was charged with an earned run, the final score in Auburn’s six-run third. Andrew Summerville struck out six over the next three, temporarily calming Auburn’s offense. But four more unearned scores were in the offing, one with Colton Thomson (1 plus IP) and three with Leland Tilley (0.2 IP) at the controls. Steven Farinaro’s pitching provided respite for the next 2 1/3 before he gave way to Spencer Traynor. Traynor (L, 2-1) tossed a clean 11th but permitted the winning tally the next inning. Erstwhile starter Levi MaVorhis kept the Spikes within one by stranding two inherited runners, but the offense could not answer in the home 12th. The Appy Birds capitalized on Twins’ miscues to edge Elizabethton, 2-1, snapping a six-game losing streak. Third-place Johnson City (8-10) trails in the series, two games to one, with one on tap. Each team committed more errors (three apiece) than they scored runs, with all of the game’s tallies unearned. Two JC-Cards’ flubs put Elizabethton up 1-0 after seven but Johnson City replied with two of their own via a passed ball and two throwing errors by the Twins’ hurler in the eighth. Reliever Jake Dahlberg (W, 1-0) was assigned the win despite being on the mound when his defense was misfiring in the seventh. Jacob Patterson struck out three over the next two for his third save. Dahlberg and Patterson pitched in relief of Brett Seeburger, who fanned six over the first six, blanking his opponents on four hits and one free pass. That performance in his second professional start earns the southpaw our Player of the Day nod. Four early scores against starter Angel Rondon resulted in a 4-3 loss by the third-place Gulf Cardinals to the first-place Nationals (8-3). All four tallies, three earned, scored in the first two of Rondon’s four-inning outing. The 19-year-old allowed eight hits, absorbing his second loss against no wins. Memphis reliever Rowan Wick continued his rehab assignment with a one-two-three fifth, his fourth scoreless outing in four appearances. Enrique Perez and Kodi Whitley’s scoreless frames were sandwiched around Alex Fagalde’s two-inning effort. Fagalde fanned three. The home team managed eight hits spread among seven players. Designated hitter Donivan Williams went 2-for-4 with a triple and run scored but was picked off first once. Center fielder Terry Fuller got his team on the board with a second-inning solo blast, his only hit in four at bats with three strikeouts. The Dominican Summer League does not play on Sundays. Breaking down the seven St. Louis Cardinals system pitchers to have made starts for the 2017 State College Spikes. Results from games played Thursday, July 6th. The Redbirds used a five-run fourth to build a commanding lead for a three-game road sweep of the third-place Express (39-48) (TEX), 7-4. Memphis (54-32) has won four straight and sits a whopping 13 1/2 up on second-place Nashville (OAK). All seven tallies were generated via home runs from Harrison Bader, Patrick Wisdom and Aledmys Diaz. Bader, who went yard for the third consecutive game, and Wisdom both hit it out with one on and Diaz did it with two aboard. It was their only hit in four, three and five at bats, respectively. Nick Martini did what a lead-off hitter is supposed to do – get on base. The left fielder went 4-for-5 with two runs scored. Adolis Garcia had two more of Memphis’ 10 hits, singling twice in four at bats. A quartet of Memphis hurlers took the mound, starting with Mike Mayers, who likely was not fully stretched out after his recent 10 days in St. Louis’ bullpen. The reigning Minor League Pitcher of the Month went three frames, giving up a run on six hits and a walk. Tyler Bray (W, 1-0) was charged with three runs, two earned, on four hits in two. Trey Nielsen grounded the Express’ offense on a hit over the next three and Mark Montgomery struck out the side for his third save. Andrew Knizner’s big bomb gave the S-Cards a 2-1 walk-off win over the RockHounds, clinching the three-game series with one to play. Springfield (8-6) is tied for second with Northwest Arkansas (KC), both teams trailing Tulsa (LAD) by a game. 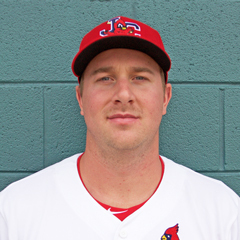 Knizner’s home run, his second since joining Springfield from Peoria, was his only hit in three at bats and one of only six hits overall by the S-Cards. Magneuris Sierra singled and doubled in four at bats with an RBI, his first multi-hit game since June 24th. His double drove in Randy Arozarena, who had reached on a fielding error by Midland’s first baseman. Arozarena ended up at third on the play. Designated hitter Gabriel Lino singled twice in four at bats. But this game belonged to the S-Cards’ pitching staff, who scattered a collective nine hits and four free passes. Dakota Hudson used eight strikeouts over the first seven innings to negate seven hits, three walks and a hit batsman. Hudson allowed Midland’s only tally. Blake McKnight permitted a two-out double in his inning on the bump. Andrew Morales worked a scoreless ninth despite a hit and walk yielded, putting him in line for his first win of the season. It took 12 innings, but the Beach Birds finally prevailed over third-place Bradenton, 4-3, in the rubber game of the series. The victory keeps Palm Beach (10-4) a half game up on second-place Fort Myers (MIN) heading into their three-game road series. Thomas Spitz worked his second free pass of the game with one gone in the 12th. A two-out single by Danny Diekroeger moved Spitz to third and Blake Drake’s bunt single back to the mound gave the PB-Cards the walk-off win. Diekroeger’s single was his third hit in six at bats, as he joined Chris Chinea, who scored one and knocked in another. Drake and Andy Young both singled twice with an RBI. Drake was one of three Beach Birds with a stolen base along with Spitz and Lane Thomas. The home team had a chance to win it in regulation, but the Marauders (8-6) (PIT) tied it up with a ninth-inning tally against the combination of Ramon Santos and Jacob Evans (BS, 2). Santos struck out two but allowed a double, with the baserunner scoring on the only hit Evans allowed in 1 1/3. Jake Woodford tossed six strong frames, holding his opponents to a run on eight hits. He left with his team up 2-1, but Ross Vance (BS, 2) gave up a tally in the first of his two-inning stint. Chandler Hawkins finished the game by maneuvering around a hit and two walks over two for his third win in four decisions. Ian Oxnevad compiled his best start of the season as the Chiefs blanked the Snappers, 4-0, for a three-game series sweep. Second-place Peoria (10-5) kept pace with league-leading Quad Cities (HOU) with the victory, the latter having won six straight. Oxnevad (W, 3-8) shut down Beloit (8-7) on just five hits and two free passes through seven. It was the first time in 15 games that the lefty had held his opponents scoreless. Oxnevad struck out four with 12 ground- to just two fly-ball outs, earning a co-Player of the Day nod. Max Almonte and Yeison Medina each worked around two hits for a scoreless frame. Eight of nine players took part in the Chiefs’ balanced offensive effort with either a hit or RBI. Danny Hudzina, Dylan Carlson and Mick Fennell went 2-for-4, Hudzina scoring once and the other two knocking in one. Nick Plummer got a hit for the third time in his last four games. Behind a huge night from Brandon Benson, the Spikes drove past the Crosscutters, 9-0, salvaging the third and final series game versus Williamsport (8-9). State College (10-7) is tied for second with Mahoning Valley (CLE), a game in back of West Virginia (PIT). 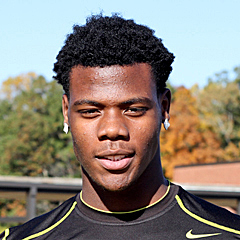 Co-Player of the Day Benson ignited his team’s offense, taking part in seven of nine tallies. The right fielder, St. Louis’ 20th round pick last month, went 4-for-5 with a triple and grand slam. Benson crossed home twice. His big fly was the Spikes’ first grand slam in three years and his six total RBI tied the team’s single-game record. Infielders Evan Mendoza and Zach Kirtley each had three more of 14 team hits, both in four at bats. Mendoza singled three times with a walk and three runs scored out of the three hole while Kirtley drove in one from the bottom of the order. That was more than enough firepower to make a winner out of Sam Tewes, who recorded his first victory as a professional in three decisions. Tewes finished an out shy of seven full frames, permitting six hits and plunking a batter. Leland Tilley allowed a hit and walk in 2 1/3. The JC-Cards’ bullpen blew a four-run lead in the ninth, eventually falling to the Astros, 6-5, in 11. First-place Greeneville’s (10-4) three-game sweep of Johnson City (7-8) leaves the third-place Appy Birds 3 1/2 behind the division leader. Reliever Thomas St. Clair began the ninth-inning slide, yielding three runs on a hit and two walks while recording just one out. His last base runner scored under Robert Calvano’s watch. Calvano (BS, 1) (L, 0-3) gave up an unearned score that sent the game into extras. The Missouri native tossed a clean 10th but departed after a base-on-balls and sac bunt put the winning run at second. Evan Guillory did not retire either of his two batters, issuing a free pass and RBI single. That end spoiled a strong showing by starter Alvaro Seijas, who scattered eight hits and a walk producing one run over six. He fanned five. Jake Walsh matched that strikeout total in just two frames. Six JC-Cards totaled seven hits, with first baseman Luis Bandes the only one with a multi-hit effort. The clean-up hitter singled and doubled in four at bats, his double knocking in two in a four-run eighth. Right fielder Carlos Rodriguez got the scoring started with a solo bomb in the fourth, his third long ball of 2017. A see-saw battle ended with the Gulf Birds winning their fifth straight, this time in walk off fashion, as they downed the GCL Astros 11-10 in 10. The GCL Cardinals (5-4) are tied for second with the Marlins, a half game in back of the Nationals. The Astros (4-5) struck first, plating four third-inning runs against starter Brian Pirela, the only frame in which the 19-year-old would be scored upon. The visitors held a 5-3 lead midway through six, at which point the Gulf Cards pushed across four, taking their first lead. That advantage held until a three-run top of the ninth resulted in the home team trailing 9-8. And it took a play at the plate to end the Astros’ scoring. But the Cardinals capitalized on an error and two wild pitches for an unearned score that sent the game into extras. The Astros were not done at the plate, however, going up 10-9 with three outs to go. But the Birds struck last, scoring two times, one earned, for the walk off win. 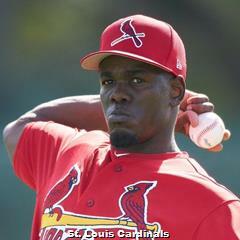 Pirela headed a sextet of Cardinals’ hurlers, five of whom were scored upon. Chris Hunt and Noel De Jesus each tossed a frame, Hunt allowing one run and De Jesus holding the distinction of pitching a one-two-three scoreless inning. Cory Malcom followed DeJesus to the mound, yielding a tally on three hits. Righty Jim Voyles was charged with three runs while retiring just one batter but two of his runners scored with Patrick Dayton on the mound. Dayton (BS, 1) (W, 1-0) allowed a run of his own in the 10th, although it was unearned because of the new rule in which each inning after regulation begins with a runner at second. The offense exploded for 14 hits, paced by two Cardinals garnering three hits each: catcher Carlos Soto and left fielder Daniel Gomez. Third baseman Taylor Bryant and designated hitter Robbie Coleman each had two hits, including Bryant doubling twice. But the biggest hit belonged to center fielder Terry Fuller, whose single drove in Bryant for the decisive tally. The Dominican Birds slipped past the DSL Nationals, 9-8, snapping a four-game losing skid. The seventh-place Cardinals (11-17) trail the Twins by 12 games. 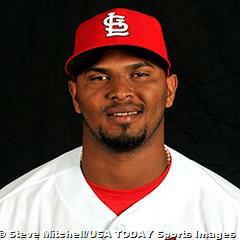 Two Cardinals had two each of the team’s seven hits: second baseman Pablo Gomez and left fielder Alexander Samuel. Both went 2-for-3 with two runs scored, including Gomez’ first professional home run. Carlos Soler had a very active day, both at the plate and in the field. The center fielder singled once in two at bats, touched home twice, swiped a base, twice was hit by a pitch and was credited with an outfield assist at second. On the mound, Diego Cordero held his opponents to a tally over the first five but did not retire any of the four batters faced the next inning. The southpaw’s final line was five runs allowed on seven hits and a walk. One of the seven hits was a three-run long ball. 17-year-old right-hander Larimel Soriano picked up his first win despite giving up an unearned run on three hits in the sixth. Rodard Avelino began the seventh, yielding two hits and a base-on-balls resulting in two tallies, one earned, in 2/3 of an inning. Dionis Zamora recorded the last seven outs, issuing just one free pass, for his fourth save. Results from games played Tuesday, July 4th. The Redbirds banged out 19 hits, romping past the Express, 10-1, in the first of their three-game series. Memphis (52-32) has increased its American Southern Division lead to 12 games over Nashville (OAK). The offensive onslaught, in which all nine starters garnered at least one hit, was spearheaded by Player of the Day Adolis Garcia, who reached base five times, going 4-for-4 with a run scored. He was also hit by a pitch once. Harrison Bader went 3-for-5, with a two-run long ball, his 15th home run of the season. Breyvic Valera went 3-for-5 as well, touching home once and knocking in two. 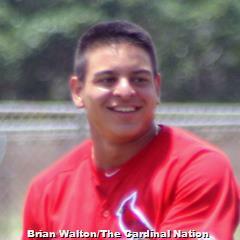 Three Redbirds had two hits apiece: Nick Martini, Aledmys Diaz and Rangel Ravelo. Starter Jack Flaherty surrendered a solo shot, one of four hits allowed and reached his 65-pitch limit after 3 2/3 innings. The top prospect fanned four. Working well in long relief, Josh Zeid (W, 5-2) struck out five over 4 1/3, permitting four hits. Ryan Sherriff faced the minimum in the ninth. 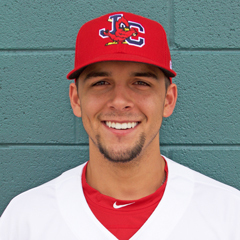 Anthony Garcia’s grand slam set the tone in the S-Cards’ 11-4 drubbing of Frisco (7-5) (TEX), salvaging the third and final series game. Springfield (6-6) sits one game behind co-leaders Northwest Arkansas (KC) and Tulsa (LAD) in the North Division. Garcia’s 11th bomb of 2017 gave his team a 5-0 lead after four before Springfield poured on a five-run fifth and Bruce Caldwell’s solo shot capped the scoring the next frame – all before their hosts ever got on the scoreboard. Garcia and Caldwell each went 3-for-4 with a walk, Garcia scoring twice and Caldwell four times. Garcia swiped his third bag of the season. Catcher Gabriel Lino added a double to two singles in five at bats, touching home once with an RBI. The visitors’ mound effort consisted of a trio of hurlers. Austin Gomber tossed a quality start over seven, permitting three runs on six hits and a base-on-balls. All three tallies were generated by two home runs. Ian McKinney yielded a hit and walk in the eighth, resulting in a score before Landon Beck pitched a one-two-three ninth. Beach Birds’ bats were held to just four hits in their 3-1 loss to Bradenton in the home series opener. The loss puts Palm Beach (8-4) and the Marauders into a tie atop the South Division, a half game in front of Fort Myers (MIN). Brennan Leitao (L, 3-1) gave up two runs on seven hits and an intentional walk in three, his first start in 21 appearances for Palm Beach this season. Hector Mendoza tossed three scoreless frames in his second relief effort since being promoted from the DSL. Zach Duke’s rehab assignment moved from one side of the Jupiter complex to another, going from the GCL team to the PB-Cards. But for the first time in three appearances, Duke was inserted into the middle of game action, allowing a hit and hit batsman in the seventh. Jacob Evans struck out four over the final two frames with a run on two hits. The home team’s sole score came in the fifth after Andy Young singled. Luke Dykstra sacrificed him to second and FSL Player of the Week Darren Seferina’s two-out single drove him in. The Chiefs began their three-game home series versus the Snappers with a 5-1 victory. The win allows second-place Peoria (8-5) to keep pace with division-leading Quad Cities (HOU), which holds a slim one-game margin over Peoria and Beloit. A trio of Chiefs’ pitchers joined forces to hold their opponents to just four hits: Juan Perez, Keaton Siomkin and Eric Carter. Facing the Snappers for the second consecutive start, Perez kept them to a run on two hits and three free passes over six. Those results are much improved from his June 29th start, when he permitted five tallies in eight innings. Siomkin gave up two hits in his two-inning stint and Carter struck out two in his one-two-three ninth. Seven Peoria starters accumulated nine hits, with Stefan Trosclair and Ryan McCarvel garnering two apiece. Both players hit home runs. McCarvel’s was with a runner aboard, and he touched home twice on the evening. Four late Crosscutters tallies produced a 4-2 loss by the Spikes in the first of three games at Williamsport. With the defeat, State College (9-6) fell into a two-way tie for second with Mahoning Valley (CLE), a game behind West Virginia (PIT). Starter Anthony Shew (L, 2-1) held his opponents to just two hits and a walk over the first six but gave up two singles and a two-run double the next frame. He struck out eight and hit a batter. Steven Farinaro let Shew’s last runner score before recording the seventh’s final out. Farinaro was charged with a run on three hits and three bases-on-balls, one intentional, in 1 1/3. Timely hitting was key in the Spikes’ two scores since they were held to just three singles. All three hits occurred in the third, combined with a fielding error and wild pitch, generating two runs. The Appy Birds could not recover from an early deficit, falling to Greeneville, 4-1, in the road series opener. Third-place Johnson City (7-6) trails the first-place Astros by 1 1/2 games in the standings. Three of the four tallies charged to Franyel Casadilla (L, 0-2) in just 2/3 of an inning were generated by a home run, one of the three hits and three walks given up. The Cards had strong efforts in long relief as Will Changarotty and Fabian Blanco both pitched 2 2/3-inning efforts, with Changarotty working around four hits and a walk. Juan Alvarez retired all six batters faced. 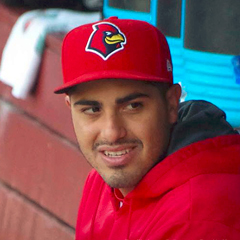 The JC-Cards translated five hits into just one score, a home run by right fielder Carlos Talavera. Second baseman Wood Myers singled twice in four at bats. Single scores in three straight innings rallied the Gulf Birds to a 3-2 win over the first-place GCL Nationals (5-2). 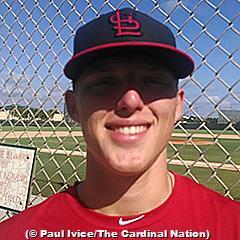 Winners of three straight, the GCL Cardinals (3-4) are tied for third with the GCL Astros, two behind the Nationals. Down 2-0 through five, the visitors pushed across a run each in the sixth and seventh before Terry Fuller’s first professional home run snapped a 2-2 tie in the eighth. Fuller led his team’s 11-hit effort, going 3-for-4 out of the five hole. Elehuris Montero and rehabber Andrew Brodbeck added two hits each, with Montero going 2-for-4 with a run scored and sac fly. Brodbeck singled twice in five at bats and was one-for-two in stolen base attempts. Angel Rondon pitched a strong game, yielding two runs on five hits and a walk through six. Rondon surrendered a solo home run and struck out six. Right-hander Alex Fagalde limited the opposition to a hit over 1 2/3 for his first professional win. Patrick Dayton stranded Fagalde’s runner, working around two hits in 1 1/3, for his first save as a pro. The Dominican Cards rallied late to tie but could not break through, suffering a 6-5 walk-off loss to the DSL Angels. The DSL Cardinals (10-16) are in sixth, 11 behind a red-hot Twins club which holds the best record in the Dominican Summer League. Oneiver Diaz (L, 0-1) gave up the tie-breaking run on a hit and three walks, one intentional, while recording three outs. 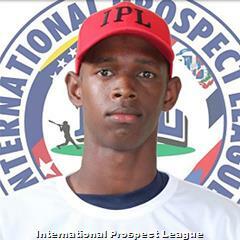 Enmanuel Solano went the first five plus, permitting three runs on five hits and a hit batsman. Wilman Madera pitched the sixth, allowing a run on three hits and a free pass. Roy Garcia was charged with a tally on two hits and two walks, one intentional, in 1 2/3. The visiting Cards struck early with a run in the first, that slim lead holding up until Solano tired in the sixth. Down 5-1 after seven, the Cardinals tied it up after eight but would score no more. Six Dominican Birds split eight hits, with catcher Ivan Herrera reaching base four times. Herrera singled twice in two at bats, worked two free passes, scored one and knocked in another. First baseman Freddy De Jesus went 2-for-5 with a run scored, striking out twice. Results from games played Monday, July 3rd. 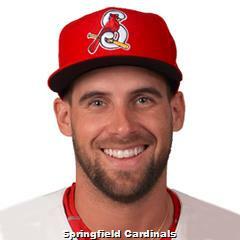 Nick Martini had a three-hit night and the bullpen delivered a strong performance in the Redbirds’ 4-1 victory over the Baby Cakes (30-53) (MIA). Memphis (51-32) took three games of the four-game set. Martini finished the night a home run shy of the cycle in four at bats and scored once. Harrison Bader singled and doubled in three at bats, crossed home once and knocked in one. The center fielder was the only other Redbird with more than one of the team’s nine hits. Kevin Herget went the first three innings, permitting a tally on three hits. 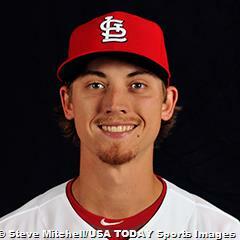 Herget took Luke Weaver’s start after St. Louis recalled Weaver earlier Monday. Trey Nielsen allowed three hits over the next two frames. Miguel Socolovich (W, 2-1) hurled a scoreless sixth and seventh, yielding one hit. Mark Montgomery retired all six faced for his second save. The S-Cards were held to just four hits in their 4-1 loss at Frisco. Springfield (5-6) has lost the first two games of the series with one to go. Chris Ellis (L, 0-4) fell one out shy of finishing the fourth, permitting two runs on six hits, two bases-on-balls and a hit batsman. Dailyn Martinez stranded two inherited runners while pitching the next 2 1/3, yielding two tallies on seven hits. Pedro Echemendia gave up two hits and plunked a batter during his two innings on the mound. Bruce Caldwell reached base each time he came to the plate, singling twice in two at bats with two walks. The team’s only tally came when Magneuris Sierra singled in Casey Turgeon after the latter worked a free pass and stole his third base of 2017. 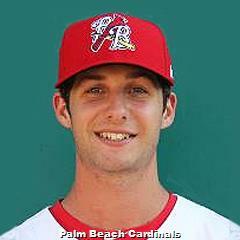 The Beach Birds scored in six of nine innings for an 8-4 victory over Charlotte (4-6) (TB). Palm Beach (8-3) took the road series, three games to one. The visitors banged out 14 hits with six PB-Cards having two hits each: Thomas Spitz, Darren Seferina, Danny Diekroeger, Andy Young, Blake Drake and Luke Dykstra. Young knocked in three, Spitz and Drake touched home twice and the other three scored once. Drake hit a solo shot, his third home run of the season. Connor Jones (W, 6-4) allowed five hits and three walks over 5 2/3, resulting in three scores. Chandler Hawkins left Jones’ final runner aboard, striking out three in 2 1/3. Ramon Santos yielded a run on two hits and a walk in the ninth. The Chiefs (7-5) could not get out of an early hole, falling 5-4 to the Cougars (7-5) (ARI). The two second-place teams split the four-game series. Starter Evan Kruczynski (L, 0-1) was touched for four of the five scores, giving up seven hits in 3 2/3. Three of the four runs were produced by a first-inning long ball. Kruczynski’s final run scored under Frederis Parra’s watch. Parra then allowed a tally of his own on four hits over 2 1/3. Max Almonte and Yeison Medina each tossed a scoreless frame. All of Peoria’s scoring occurred in the seventh, when they generated four of their five hits for the game. The big blow was Juan Yepez’ two-run double, scoring Brian O’Keefe (single) and Ryan McCarvel (walk). Dylan Carlson had singled to open the inning, touching home on a single to right by Vince Jackson. In turn Jackson scored his team’s final run via J.R. Davis’ sac fly. Three late scores sent State College (9-5) to a 5-4 defeat at the hands of Batavia (6-8) (MIA). The loss prevented a three-game series sweep by the Spikes. The home team led 3-2 after six but that was flipped with a two-run seventh. Both tallies were against reliever Colton Thomson, who struck out eight over three, stranding three inherited, but yielded two hits and a walk. Paul Balestrieri held the Muckdogs scoreless over the initial three, giving up a hit and two walks. Andrew Summerville recorded just two outs, allowing two runs on three hits and two free passes. Robbie Gordon (BS, 1) (0-1) was charged with a run on two hits and a walk in 2 1/3 and let Thomson’s last runner cross. Three Spikes garnered two hits apiece: Evan Mendoza, Ricardo Bautista and Edwin Figuera. Mendoza drove in one in five at bats while Bautista singled and doubled in four at bats with a walk and RBI. Figuera went 2-for-3 with two runs scored. 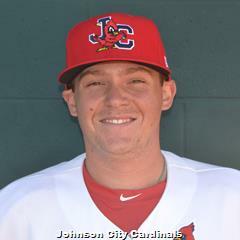 Long balls by the visitors and a quiet night at the plate by the Cardinals resulted in a 7-1 Johnson City loss to Pulaski (9-3) (NYY) in the decisive third game of the series. Only one of the six hits by third-place Johnson City (7-5) went for extra bases. Shortstop Delvin Perez’ triple drove in Julio Rodriguez (single) for his team’s only tally. No Appy Bird had more than one hit. A quartet of JC-Cards pitchers combined to allow just seven hits, but two were home runs, accounting for four tallies. Jacob Schlesener’s four-inning outing was a mixed bag. The righty (L, 0-1) struck out nine Yankees but walked four, hit a batter and served up a two-run bomb. Jake Dahlberg was touched for a run on two hits in the sixth before handing the ball off to Paul Salazar. Salazar surrendered a two-run home run, allowing four runs in all on two hits and two walks while retiring two. He also plunked a batter. Evan Guillory quieted things down with 2 1/3 innings of shutout ball, but by then the game was out of reach. The Gulf Birds (2-4) used a balanced offense to pound the GCL Mets, 12-1, for their second consecutive win after losing the first four of the season. All nine starters either had at least one of 11 team hits or drove in a run. First baseman Leandro Cedeno and right fielder Sanel Rosendo each went yard, Cedeno with one and Rosendo with two runners aboard. Cedeno, Rosendo and shortstop Taylor Bryant had two hits apiece, with Cedeno adding a double and Bryant tripling once while scoring twice. Junior Gonzalez (W, 1-0) tossed five frames of shutout ball, scattering seven hits and a free pass. Memphis’ Rowan Wick began his rehab assignment by fanning all three batters faced – two swinging and one looking. Noel De Jesus faced the minimum in the seventh but Chris Hunt was charged with a run on two hits and a walk in his inning of work. Gabriel Gentner permitted a hit in the ninth. The DSL Cardinals (10-14) suffered a double-header sweep at the hands of the DSL Twins (19-5) on Monday, 3-0 and 8-5. The Dominican Birds managed just three hits in the opener, with Ivan Herrera’s double the only one to go for extras. The catcher did not fare as well on the base paths, being picked off second and caught trying to steal third. Jose Moreno (L, 0-1) yielded two runs on four hits over four. He did not issue a free pass. Nelson Prada was charged with an unearned tally in his two innings of work. Hector Soto took the loss in the finale, his first against two wins, allowing two runs on four hits in three. Soto struck out five. It was the 18-year-old’s first start in six appearances. Rodard Avelino had a hard time finding the strike zone, issuing more free passes (three) than he recorded outs (two). Avelino was charged with three runs. Leonardo Taveras limited further damage to Avelino by leaving the latter’s last runner aboard but allowed three hits and a walk over 2 1/3. All three of the runs charged to Taveras crossed home with Dionis Zamora on the mound. Zamora struck out the side but gave up a hit and walk. The DSL Cardinals supplemented their five hits with five bases-on-balls. Second baseman Erik Pena and first baseman Freddy De Jesus each had two hits, Pena doubling once with two runs scored and De Jesus touching home one time. Results from games played Sunday, July 2nd. 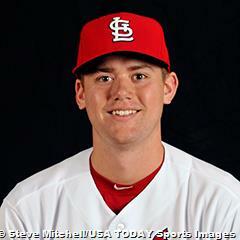 It was a long Sunday afternoon for Redbirds’ hurlers as New Orleans thumped Memphis, 10-3. The Redbirds (50-32) lead the series, two games to one, with one on tap. The club is 10 games up on second-place Nashville (OAK). Four Memphis pitchers took the mound against the team with the weakest record in the entire Pacific Coast League and three of them gave up runs. John Gant took the loss, his fourth in five decisions, yielding four runs, three earned, on 10 hits and a walk through five. He fanned six and served up a two-run long ball. Tyler Bray pretty much ended any hopes his team might have had of a comeback, surrendering five runs on five hits and a free pass in 1 2/3. Trey Nielsen stranded one inherited runner but allowed a tally on two hits the next frame. Josh Lucas tossed a clean ninth. Two of the home team’s three scores came off solo shots by Harrison Bader and Wilfredo Tovar. They were two of three Redbirds with two hits each, joined by Adolis Garcia. Four late scores against the S-Cards’ bullpen for the second time in the last three games sent them to an 8-4 loss at Frisco in the series opener. Springfield (5-5) is a game behind co-leaders Northwest Arkansas (KC) and Tulsa (LAD) in the North Division. Blake McKnight allowed three runs in the eighth, his second inning of work, leaving him with his fifth loss in six decisions. Cory Littrell plunked his only batter faced, leaving Andrew Morales to permit all three baserunners to score on a walk and two-run single. Sandy Alcantara started, yielding four tallies on five hits and two free passes through six. Two of the four runs came on a long ball. Alcantara fanned six. Eight of nine Springfield players had at least one hit with Tommy Edman the only one with multiples. Edman singled and tripled in four at bats, scoring once. John Nogowski added a two-run shot and Casey Turgeon launched a solo bomb, his first of 2017. Defensively, left fielder Turgeon was credited with an outfield assist, throwing a runner out at third. Five late tallies blew open a close game, resulting in the Beach Birds flying past the Stone Crabs, 8-1. First-place Palm Beach (7-3) holds a two-games-to-one series lead with one to play and is a half of a game in front of both Bradenton (MIL) and Fort Myers (MIN). The visitors scored early and late, pushing across three tallies in the initial two frames plus five more in the seventh through ninth. The 16-hit attack featured either a hit or RBI from eight of nine players and multi-hit performances from six starters. Shane Billings led the way, going 4-for-5 with two doubles, two runs scored and a strikeout. The left fielder is our Player of the Day. Center fielder Thomas Spitz went 3-for-4 with a solo shot, walk and stolen base. Four PB-Cards had two hits apiece: Darren Seferina, Danny Diekroeger, Jose Godoy and Luke Dykstra. Seferina, like Spitz, went yard once with a stolen base. Defensively, the shortstop committed his sixth error. Derian Gonzalez (W, 4-7) tossed a strong effort, limiting Charlotte to an unearned run over six. The righty yielded six hits and two free passes. Hector Mendoza walked one in the seventh before Brady Bowen scattered three hits over the last two innings. Jordan Hicks’ pitching and Brian O’Keefe’s two-bomb night helped the Chiefs down the Cougars, 8-1. Peoria (7-4) has clinched the three-game series with one to go and is in a three-way tie for first with Beloit (OAK) and Quad Cities (HOU), a game ahead of Kane County. O’Keefe’s first home run came with the bases clear and was part of a two-run fourth that put the visitors up 2-0. He launched his second long ball with two aboard, providing half of his squad’s tallies in the ninth. Designated hitter Vince Jackson accounted for three scores, doubling three times in four at bats with a run scored and two driven in. Jackson was one of three Chiefs to be caught stealing. Mick Fennell also had three hits, going 3-for-5 with a run scored and RBI. Fennell was another of the Peoria players to be nailed trying to swipe a bag. Hicks (W, 8-2) had a stellar outing, fanning nine over eight scoreless frames. The 20-year-old gave up just four hits and two bases-on-balls. Dewin Perez surrendered a solo bomb in the ninth. The Spikes muzzled the Muckdogs, 3-1, taking a two-games-to-none series lead with one on tap. First-place State College (9-4) has a one-game advantage over Both Mahoning Valley (CLE) and West Virginia (PIT) in the Pinckney Division. First baseman Tyler Lancaster had a perfect night at the plate, going 3-for-3 with a double and one driven in. Right fielder Brandon Benson singled twice in four at bats, touched home one time with an RBI and stolen base. State College had seven hits in all. Jonathon Mulford struck out six over five scoreless, working around four hits and five walks. He left with his team up 1-0 but an unearned run against Spencer Traynor (BS, 1) (W, 2-0) prevented Mulford from picking up the win. Will Latcham fanned three over two frames for his first professional save. Johnson City split its double-header series opener with Pulaski, falling 3-2 in the opener, but claiming the finale 4-2. The extra game covered Friday’s rainout. The Appy Birds (7-4) are in a three-way tie for first with Elizabethton (MIN) and Greeneville (HOU). Johan Oviedo yielded two runs in the first of his three-inning stint. He allowed two hits, walked two, hit a batter and committed two balks. Robert Calvano (L, 0-2) fanned four over three but permitted the difference-making score on three hits and a walk. Jake Walsh tossed a one-two-three seventh. Delvin Perez, the only JC-Card with more than one of the team’s six hits, singled twice in three at bats out of the eight hole. Wood Myers went 1-for-2 with a run scored while J.D. Murders scored the other run. In the nightcap, the home team snapped a 2-2 tie with a two-run sixth. Walker Robbins’ sac fly scored Chase Pinder (walk) for the go-ahead tally and Irving Wilson added an insurance run when he doubled home Carlos Rodriguez (single). Wilson’s perfect night at the plate ended a home run shy of the cycle, as the designated hitter went 3-for-3 with two walks and run scored. Pinder singled and doubled in two at bats with a base-on-balls, crossed home twice and threw a strike from right field that nailed a Yankee baserunner at the plate. The fifth-place GCL Cardinals (1-4) look to build on their first win of the season from Saturday when they face the third-place Mets on Monday. Results from games played Thursday, June 29th. Patrick Wisdom’s two-homer performance led the Redbirds over the Dodgers, 8-2, giving the home team a two-two series split. Memphis (48-31) has a commanding 10-game lead over Nashville (OAK) and Round Rock (TEX) in the four-team American Southern Division. Wisdom accounted for half of his team’s tallies, going 2-for-4 with two runs scored and four knocked in. 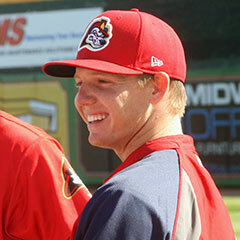 The third baseman was one of five Redbirds with two hits apiece, joining Harrison Bader, Breyvic Valera, Todd Cunningham and Nick Martini. The first four did it in four at bats and Martini five. All five touched home at least once with all but Valera driving in at least one. 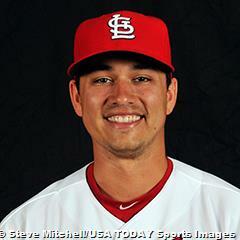 Marco Gonzales went seven innings, holding Oklahoma City (44-34) to just two tallies on three hits and three walks. It was the southpaw’s third straight quality start – of at least six innings and two or fewer runs. Gonzales fanned six with five ground-ball to four fly-ball outs. 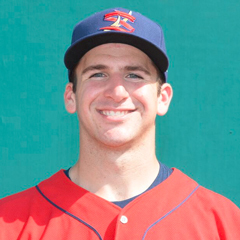 In his Triple-A debut, Tyler Bray used three strikeouts to work around three hits over two scoreless frames. The S-Cards’ bullpen could not hold a late four-run lead, falling to Midland, 5-4, in 10 in the first of the three-game series. Springfield (3-4) is a game behind both Northwest Arkansas (KC) and Tulsa (LAD) in the North Division. Austin Gomber was impressive over the first seven scoreless frames, striking out nine while giving up five hits and three bases-on-balls. Our Player of the Day threw 72 of his 103 pitches for strikes and left with his squad up 4-0. But that lead unraveled in the eighth. Ian McKinney did not retire any of his three batters faced, allowing a hit and two free passes. Andrew Morales (BS, 1) entered with one run across and runners at first and second. Morales coaxed a pop out in foul ground but negated that by yielding three consecutive singles before he recorded his next out. Corey Littrell came in with two in scoring position but negotiated through the jam by issuing an intentional base-on-balls before getting a fly out to center. Littrell worked a clean ninth but the same cannot be said for Landon Beck the next inning. Beck (L, 1-1) allowed two hits and three walks, eventually walking in the walk-off. The visitors managed six hits including solo shots by Oscar Mercado and John Nogowski. Mercado was the only Springfield player with more than one hit, going 2-for-5 with three strikeouts out of the three hole. The home run was Nogowski’s only hit in four at bats in the first baseman’s organizational debut. Chris Chinea’s third home run of the season provided the winning margin as the Beach Birds edged the Mets, 4-3, in 11 for a three-game road series sweep. Palm Beach (5-2) sits atop the South Division, a half of a game ahead of Fort Myers (MIN), which has also won three straight. The blast was Chinea’s only hit in five at bats and the team’s second solo bomb of the game. Andy Young got his squad on the board in the second for an early 1-0 lead. Young and Randy Arozarena both went 2-for-5 while Darren Seferina singled and doubled in four at bats with a walk and run scored. Arozarena swiped his ninth and 10th bags of 2017. The Cards had eight hits in all. 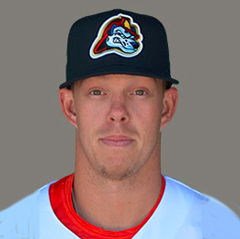 Ryan Helsley was solid for Palm Beach, holding sixth-place St. Lucie (1-6) to three runs on eight hits and a base-on-balls over 6 2/3. Ross Vance aided Helsley’s final line by recording the seventh’s final out, stranding two inherited. Both of Vance’s outs were swinging K’s, but he gave up a walk and single, leaving Brennan Leitao to get out of the jam on a 4-6-3 double play. In a strong relief outing, Leitao (W, 3-0) went on to shut down the Mets on a lone hit over 2 2/3. Brady Bowen retired two in the 11th but issued a free pass, leaving Estarlin Arias to retire his only batter for his fifth save. The series finale between the West Division co-leaders ended up in an 8-2 loss by the Chiefs, winner of just one of the four games. Peoria (5-3) is now in a three-way tie for second with Kane County (ARI) and Quad Cities (HOU). Beloit (6-2) (OAK) scored five times in eight innings against starter Juan Perez (L, 1-1). Perez yielded six hits, a walk and hit one batter. Ronnie Williams had almost no control, issuing four free passes and giving up a hit while retiring just one batter. That performance translated to three runs, two earned. Eric Carter induced a double-play ball, thus limiting further damage. 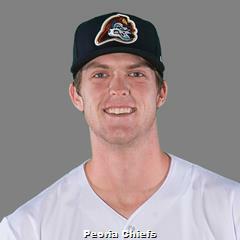 Peoria outhit Beloit eight to seven but went 2-for-9 with runners in scoring position. Juan Yepez and Danny Hudzina each went 2-for-4 with a double, with Hudzina driving in Yepez. The Spikes survived three Auburn home runs to top the Doubledays, 7-4, clinching the three-game series with one to play. The victory moves State College (6-4) into a three-way tie atop the Pinckney Division with Mahoning Valley (CLE) and West Virginia (PIT). State College was outhit, nine to 12, but used three double plays to close that gap. Mick Fennell, Caleb Lopes and Dennis Ortega each had two hits, Fennell and Ortega in four and Lopes in five at bats. Fennell the center fielder, worked a free pass, scored once and drove in two while Lopez came home once and Ortega knocked in one. Defensively, catcher Ortega notched two pick offs, both at second base. Levi MaVorhis went the first three frames, allowing two solo long balls that were part of five hits and a walk. Leland Tilley was credited with his first win by tossing two scoreless frames. Paul Balestrieri pitched a clean sixth but served up a two-run bomb the next inning. Three of the four outs recorded by Robbie Gordon were K’s and Andrew Summerville fanned the side for his first professional save. Four early scores against Edwar Ramirez resulted in a 5-3 Appy Bird loss to the Astros. Johnson City (5-3), which will try to salvage the third and final game of the series on Friday, drops into a three-way tie for first with Greeneville and Elizabethton (MIN). Ramirez (L, 1-1) gave up two runs each in the first and third plus another run in his sixth and final inning of work. Four of the five tallies were earned, coming on 10 hits including three home runs producing four scores. Will Changarotty struck out four over two, giving up a hit. Robert Calvano fanned two in the ninth, issuing one free pass. Designated hitter Wood Myers and catcher Julio Rodriguez each went 2-for-4, with Myers walking once and Rodriguez doubling once with a run scored and RBI on a sac fly. The defending league champion Gulf Birds (0-3) are still looking for their first victory of the young season after they were downed by the GCL Nationals (3-0) by a score of 3-1. Angel Rondon took the loss despite a quality effort. The 19-year-old yielded just two runs, one earned, on three hits and a base-on-balls over six innings. 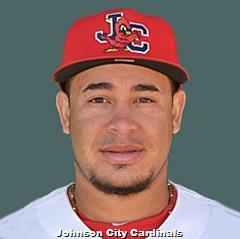 Rondon began the season by starting twice for the DSL Cardinals before making his United States debut in a June 23rd start for Johnson City. A trio of Gulf Cardinals relievers each tossed a frame: Alex Fagalde, Juan Alvarez and Gabriel Gentner. Fagalde was touched for a run on two hits while Alvarez faced the minimum. Gentner allowed a hit but struck out two. The home team’s sole tally was manufactured without a hit. Designated hitter Elehuris Montero was plunked to begin the fifth, advanced to second on a passed ball, scampered to third via a wild pitch and scored left fielder Daniel Gomez’ 4-3 ground out. Third baseman Taylor Bryant had an interesting professional debut. The 33rd rounder from Cal State Fullerton garnered one of his squad’s four hits for the day and worked two free passes, giving him a 1.000 OPS. For now. The DSL Cardinals translated 11 hits into a 3-2 victory over the DSL Phillies Red squad. The Dominican Birds (9-13) are tied for sixth with the Phillies Red, eight games in back of the DSL Twins. Four Dominican Cardinals had two hits each: first baseman Cristhian Longa, catcher Ivan Herrera, third baseman Pablo Gomez and left fielder Diomedes Del Rio. All four players doubled once while all except Del Rio drove in one. Longa’s RBI knocked in William Jimenez (single) in the ninth for what proved to be the winning margin. Herrera and Del Rio both reached base once via a hit-by-pitch. But the true star of the game was starter Diego Cordero, who spun eight frames of one-run ball. The lefty gave up just five hits and did not issue a free pass. 18-year-old Wilman Madera gave up three hits resulting in one run but held on for his first save of 2017 and second of his two-year career. Results from games played Tuesday, June 27th. Memphis lost a low-scoring affair to Oklahoma City, 3-2. Although the Redbirds (46-31) have dropped the first two of their four-game home set, they still hold a commanding nine game lead over Nashville (OAK) in the American Southern. John Gant (L, 1-3) tossed eight strong frames, the difference in the game being a two-run home run allowed in the fourth. Gant gave up five hits and a walk, striking out five. Mark Montgomery faced the minimum in the ninth. The home team outhit its guests, seven to five, but went a dismal 1-for-7 with runners in scoring position. Nick Martini and Adolis Garcia both went 2-for-4, Martini tripling once and Garcia touching home one time in his Triple-A debut. 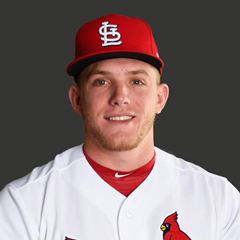 Harrison Bader doubled once in four at bats, scoring his squad’s other run. The 2017 Texas League All-Star Game was played on Tuesday at Dr. Pepper Ballpark, home of the Frisco RoughRiders, with the South team prevailing over the North, 10-3. 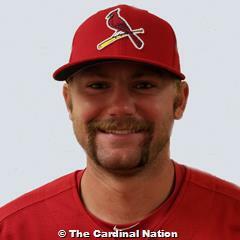 It was a rough night for several of the five Springfield Cardinals selected as part of the North Division team. Holding a 2-0 lead in the second, Matt Pearce allowed three runs as the South pulled ahead. In the fourth, Corey Baker yielded more runs than outs secured, three to two, on five hits. Anthony Garcia struck out in his only plate appearance and starting left fielder Oscar Mercado went 1-for-4 with a first-inning single. On the positive side, Dakota Hudson was given the starting honors for the North and issued a walk along with securing three outs, two on ground balls. The first of a three-game road series between Palm Beach (2-2) and St, Lucie was postponed due to inclement weather. The two teams are now scheduled for a Wednesday double header. The Chiefs came out on top of a see-saw battle, walking off with a 10-8 win over the Snappers to even the series at one game each with two on tap. The victory snaps a tie for first between Peoria (5-1) and their guests. The visitors took their only lead of the contest with two in the eighth against Dewin Perez. Perez had already absorbed his first blown save when he allowed Dobzanski’s final two runners to score. But Hudzina opened the home half of the inning with his fourth home run, halving the deficit to a single tally. Vince Jackson’s RBI double brought across Dylan Carlson (single), knotting the game at eight all. Ryan McCarvel sent the spectators home happy with his eighth long ball. It came with Matt Fiedler aboard. The Chiefs banged out 16 hits, paced by Hudzina and Jose Martinez, who each had three hits. All three of Hudzina’s hits in four at bats went for extra bases, two doubles and a home run. He touched home twice with two RBI. Martinez went a perfect 3-for-3 with a walk, double and run scored. Stefan Trosclair, Shane Billings and Carlson had two hits apiece. Trosclair added a base-on-balls to two runs scored, three driven in and two stolen bases while Billings tripled once in five at bats, crossing home twice. Carlson went 2-for-4, scored the tying run and joined Billings with a stolen base. 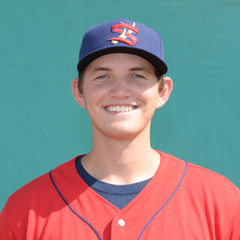 Southpaw Evan Kruczynski, our Player of the Day, was impressive in his professional debut, retiring all 12 batters faced on 39 pitches, 29 for strikes. Dobzanski tossed a clean fifth but could not get the final out the next inning, giving up three hits and two free passes. Perez allowed three hits, two walks and a hit batsman in 1 2/3, both of his tallies scoring with Eric Carter on the mound. Carter (W, 3-1) fanned three in 1 2/3, as did Perez, giving up one hit. Fresh off their first road series of 2017, one they lost – two games to one, fourth-place State College (4-4) heads home to take on fifth-place Auburn (WSH) in a three-game series. Three runs in the first proved decisive as the Appy Birds claimed the rubber game of their three-game series at Kingsport, 4-2. The win moves Johnson City (4-2) into a first-place tie with Greeneville (HOU), a half game in front of Kingsport. The visitors’ 11-hit attack was led by Wadye Infante and Julio Rodriguez, who both had three hits. Infante went 3-for-5 with a double and run scored at the top of the order while catcher Rodriguez singled three times in four at bats, scored one and knocked in another. Shortstop Wood Myers went 2-for-4 with his first stolen base. Defensively, Myers committed his first miscue. Starter Jacob Schlesener finished an out shy of qualifying for the win, permitting four hits and a base-on-balls over 4 2/3 scoreless. Brett Seeburger (W, 1-0) went the next 2 1/3 run-free frames, allowing two hits and a walk, stranding two inherited runners. Evan Guillory was touched for a two-run bomb in the eighth before Thomas St. Clair worked around a lead-off single and wild pitch for his first professional save. The GCL Cardinals (0-1) look for their first victory of 2017 when they face the GCL Mets. The seventh-place Dominican Birds (8-12) fell to the DSL Mets1, 3-1, and now trail the division-leading DSL Twins by seven games. All three scores charged to Roy Garcia (L, 0-2) came in the sixth, the first of his two-inning stint. The righty yielded two hits and three free passes in all. Garcia pitched in relief of Enmanuel Solano, who tossed five strong frames in his first start after three relief appearances. The 18-year-old righty scattered five hits and did not issue a free pass. Solano fanned four. Leonardo Taveras tossed a clean eighth. The visitors’ sole run occurred in the ninth and came in typical Dominican Summer League fashion. Shortstop Raffy Ozuna begin the frame by striking out swinging on a pitch scored a wild pitch and scampered to first. He advanced to second via a ground out, moved to third on another wild pitch and scored on a single by catcher Ivan Herrera, one of only four hits by the Cardinals on the day. Results from games played Sunday, June 25th. The Redbirds (46-29) fell to the Storm Chasers, 5-3, for a split of the four-game road series. The blow that finished Jack Flaherty’s (L, 1-1) day was a three-run home run with one gone in the fourth. Combined with a two-run third, Flaherty surrendered five runs in all on eight hits and three walks. He struck out five. Kevin Herget held Omaha (37-36) (KC) scoreless over the next 2 2/3, fanning three. Trey Nielsen and Miguel Socolovich each tossed a one-two-three frame, with Nielsen striking out two. Memphis garnered eight hits, generating single scores in the fourth, fifth and ninth. Designated hitter Breyvic Valera led the way, going 3-for-4 with a solo bomb that was part of his two RBI. Alex Mejia singled and doubled in four at bats. A three-run long ball translated to an early exit for Chris Ellis as the S-Cards were blanked by the Travelers, 7-0. Heading into the Texas League all-star break, Springfield (3-3) claimed the series from Arkansas (2-4) (SEA), three games to one. Ellis (L, 0-3) was unable to record the final out in the third, giving up four runs on four hits and three bases-on-balls. Ian McKinney was charged with a run on two hits in one frame. Blake McKnight left McKinney’s last runner aboard but allowed two runs on two hits and three free passes in two. Pedro Echemendia went 3 1/3 scoreless, stranding one inherited runner. The home team was limited to just five hits, all singles. Catcher Jesse Jenner had the only multi-hit effort, going 2-for-3 out of the nine hole. The Beach Birds’ bullpen could not hold a slim lead, resulting in a 5-2 loss to Jupiter (2-2) (MIA). Palm Beach (2-2) split the four-game set at Roger Dean Stadium. With Palm Beach up 2-1 through seven, Ramon Santos (BS, 2) allowed the tying score the next frame. In Santos’ two innings of work, he allowed two hits and two walks with an inherited runner stranded. Chandler Hawkins (L, 2-1) left Santos’ final runner aboard in the eighth but could not accomplish the same feat for himself in the ninth. Hawkins yielded three runs on six hits in 1 2/3. Derian Gonzalez did well in his first start of the season, holding the Hammerheads to a run via a solo long ball that was one of five hits he gave up over 5 1/3. He issued one free pass. Six PB Cards had one hit each, with the only one to go for extra bases coming off Blake Drake’s bat. Drake doubled home Jeremy Martinez after the latter drew a base-on-balls to begin the fifth. Danny Diekroeger’s sac fly brought across Randy Arozarena (hit-by-pitch) for the other score. Peoria (4-0) extended its winning streak to six games, blowing past the Bees, 8-2. All six wins have come against Burlington (0-4), including four in the just completed road series. The Chiefs scored in each of the first three frames, building to a 6-1 lead after three. Three Chiefs had two hits each: Ryan McCarvel, Stefan Trosclair and Jose Martinez. McCarvel, our co-Player of the Day, did the most damage, doubling twice in three at bats with two walks, two runs scored and two knocked in. Trosclair singled and tripled in four at bats with a base-on-balls, crossed home once and drove in one while Martinez knocked in two. Ian Oxnevad (W, 2-7) was solid through five plus, permitting two runs on five hits and a walk. Frederis Parra tossed three innings of shutout ball, giving up three hits, fanning two and stranding one inherited. Max Almonte faced the minimum in the ninth. A huge fourth catapulted the Spikes over the Scrappers, 9-0, evening the road series at one game each with one to play. State College (4-3) sent 11 players to the plate that inning, pushing across nine runs. The scoring was capped by Joshua Lopez’ three-run blast with two gone and Mick Fennell (double) and Evan Mendoza (error) aboard. Lopez and Fennell were two of four Spikes with two hits apiece, joined by Hunter Newman and Danny Martin. Lopez and Fennell had five at bats and Newman and Martin four. Three State College players had one hit each. Meanwhile on the mound, co-Player of the Day Daniel Castano (W, 2-0) tossed eight impressive frames, striking out nine and giving up just four hits and a walk. Paul Balestrieri faced the minimum in his professional debut to complete the shutout. The Appy Birds (2-2) were clipped by the Mets, 7-6, in the away series opener. Reliever Robert Calvano took the loss in his first decision, after giving up a tie-breaking tally on four hits in 2 1/3. He struck out two and did not walk a batter. Prospect Alvaro Seijas’ much anticipated 2017 debut was a rough one. The 18-year-old went just three innings, yielding four runs on five hits and three walks. Seijas threw 65 pitches, 36 for strikes. Will Changarotty allowed two unearned scores on three hits and three bases-on-balls, one intentional, in 2 2/3. Three JC-Cards each had two of the team’s 10 hits: Delvin Perez, Carlos Rodriguez and Irving Lopez. Perez went 2-for-4 with a walk, run scored and RBI while batting third. He did not fare as well with his base running, being caught stealing once and picked off second another time. Rodriguez went 2-for-5 with his second home run of 2017, touching home twice. Defensively, he committed a throwing error, his second miscue overall. Lopez singled and doubled in three at bats, batting eighth. Manager Steve Turco’s Gulf Coast League Cardinals begin defense of their 2016 championship at home against the GCL Astros.